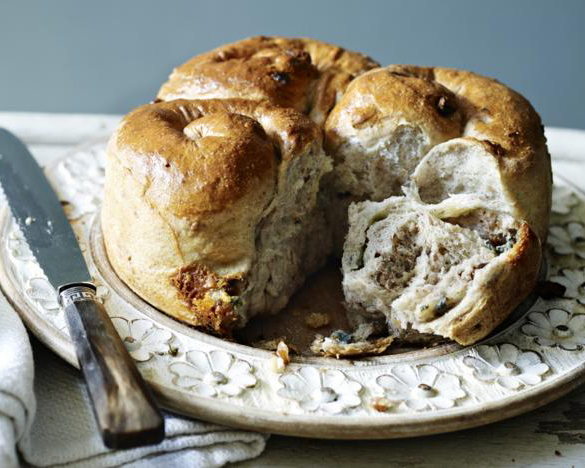 The Roquefort and Almond sourdough is prepared with some of the finest and most expensive ingredients. 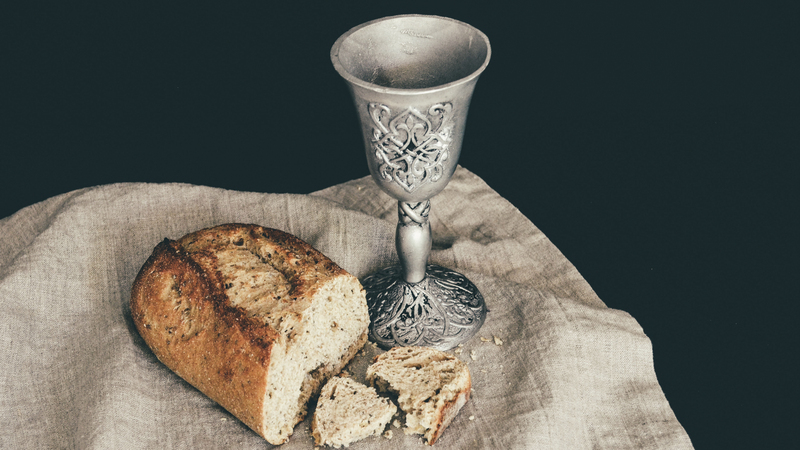 Also referred to as the Rolls Royce Bread by master baker Paul Hollywood, it’s made without additives and good grade flour from a specialist miller and France’s finest Roquefort cheese. The bread is the finest one can buy in the Britain’s Harrods for £15 (US $24.50). The royal bloomer is made with 23 carat gold and champagne. 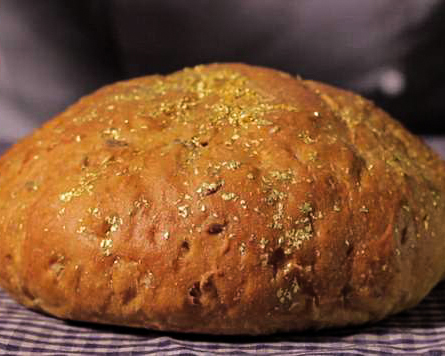 The champagne gives the bread a delicious flavour while the gold flakes add the red sparkly glaze on top. This amazing idea of replacing water with champagne came to baker Robert Didier and costs a whopping £75 at his Orchard Pigs Bakery in Wrexham, North Wales. Miche is New York’s most expensive bread for which you’ll need to shell out at least $20 for a pound of this deliciousness. 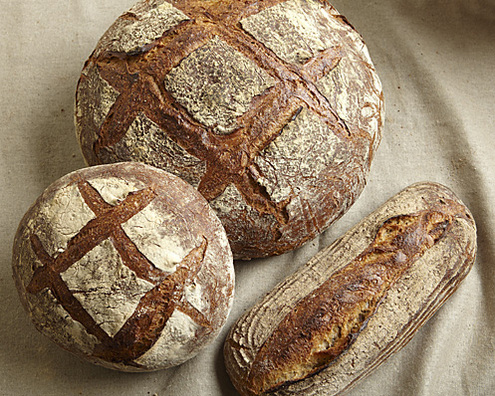 This bread is made with Farmer Ground organic flour and undergoes a long fermentation process that gives it a rich flavour and complex texture. It tastes best when taken with good cultured butter. You can find it easily at Amy’s Bread in New York City. Prepared with 250 mg gold dust, the Gold Leaf Bread is available at Pan Pina Bakery in a village of Algatocin, Andalusia, Spain at £93 a loaf. Moreno, the owner of the bakery produces around 50 types of bread in his bakery. His family has been running the business in the small village of Algatocin, Malaga Province, Andalusia, for the last 70 years. 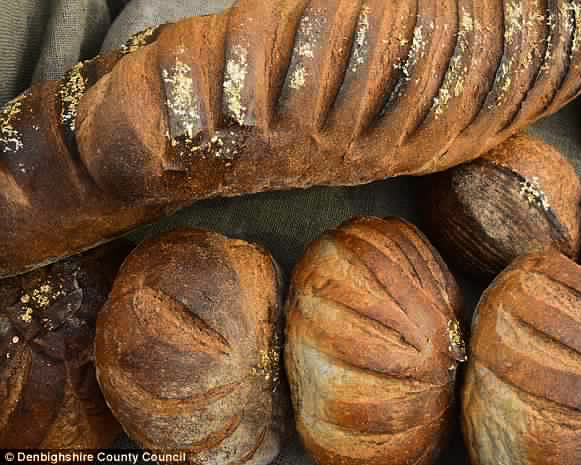 The Shepherd Loaf is Britain’s most expensive bread costing £21 a loaf. Created by Tom Herbert at the age of 33, it is currently found in ‘Bake my Day’. 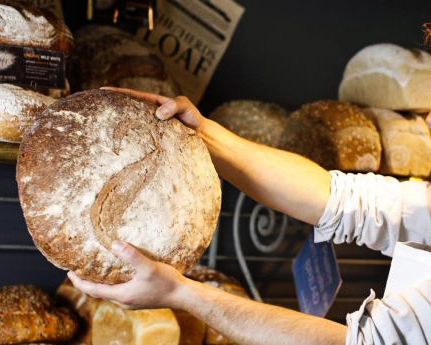 Prepared with the double rising process before baking, the bread is prepared from organic Somerset spelt flour, Cots­­wolds spring water and Cornish sea salt using a secret 55-year-old recipe.